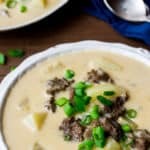 Loaded with tender beef and potatoes in a smooth, cheesy broth, this Creamy Steak and Potato soup is a hearty meal. It’s the ultimate comfort food! I look forward to the cooler months for two reasons. The weather and the food. Oh the food…all that yummy stick-to-your-ribs comfort food! Comfort food is my weakness. I especially love potatoes. I always have. And while I often swap out potatoes and use cauliflower instead, like in this hash browns recipe or my Au Gratin Cauliflower recipe, sometimes I just have to have the real deal! When those moments hit, I have a few go-to recipes. 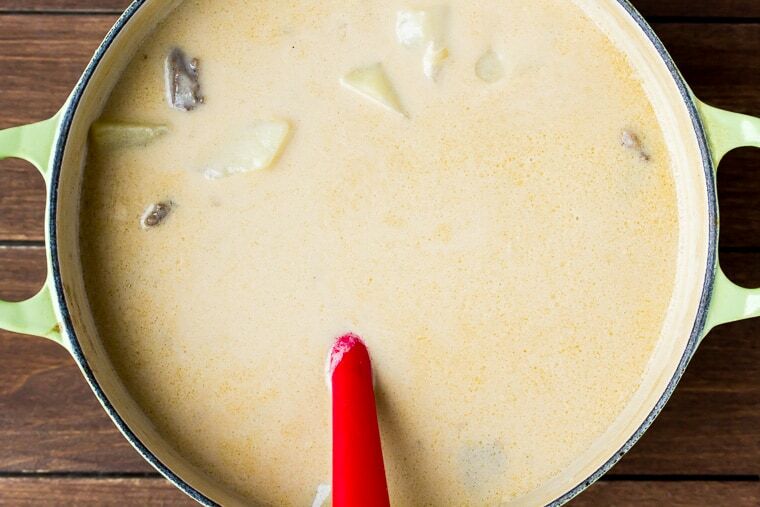 This Creamy Steak and Potato Soup recipe is one of my favorites! Potatoes are the star of this recipe, and who doesn’t like potatoes? 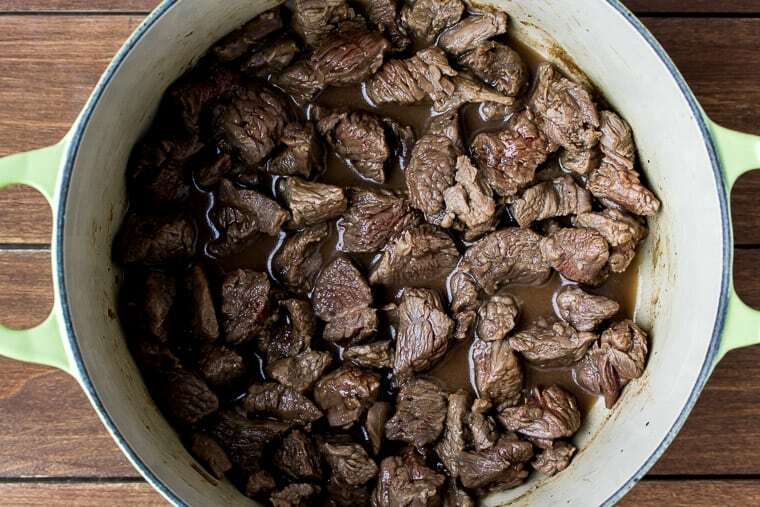 Chunks of tender beef add more heartiness, flavor, and protein. There is sharp white cheddar cheese in the broth for extra richness! This soup is great to make ahead of time and take for lunch, or pair with a salad for an easy dinner. There is a little prep work to do for this recipe. You’ll need to cut the beef and potatoes into bite-size pieces. Also, dice the onion, mince the garlic, and shred the cheese. 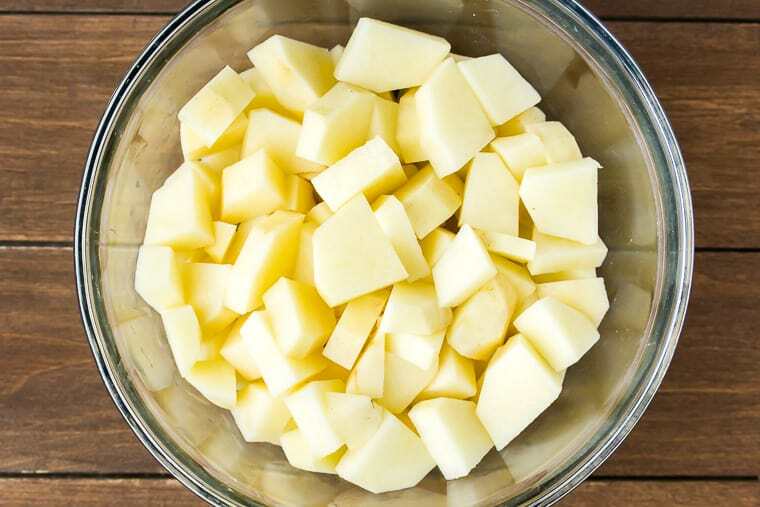 TIP: shred the cheese from a block rather than buying pre-shredded bagged cheese – it melts so much better without any graininess from the added starch in the bagged kind. Add the olive oil to a large pot or Dutch Oven over medium heat. Season the steak with the salt and pepper, then add to the hot oil. Cook, stirring occasionally, until it’s done through, about 6-7 minutes. Remove the steak with a slotted spoon and set it aside. Leave the extra juices in the pot. 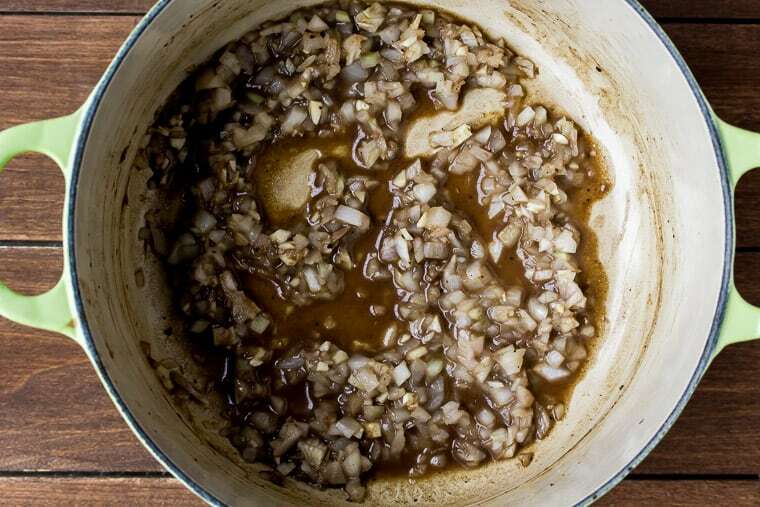 Add the onions and garlic to the pot with the beef juices. Cook 2-3 minutes until softened. Next, add the stock and potatoes. Increase the heat to high and bring to a boil. Boil for about 10-12 minutes until the potatoes are just fork tender. Meanwhile, in a separate pot over medium heat, melt the butter. Whisk in the flour until well combined, then the milk. Pour the mixture into the potatoes and stir until thickened, about 3-4 minutes. Add the steak back to the pot along with the heavy cream and cook a few minutes longer until everything is heated through. Remove the pot from the heat and stir in the white cheddar cheese until melted and well blended. Taste and season with more salt and pepper, as needed. Ladle the soup into bowls and top with extra white cheddar cheese and slices of green onion, if desired. Shred the cheese from a block rather than buying pre-shredded bagged cheese. It melts so much better! Use the most tender cut of beef you can find. Top round steak and chuck roast are great options. Store leftover soup in individual air-tight containers in the refrigerator. Use within 3-4 days. What kind of steak is best to use in soup? Tender cuts of steak are best for this soup. I prefer to use either top round steak or a chuck roast. Can you substitute half-and-half for the heavy cream? Yes, but your soup may be a little less thick. 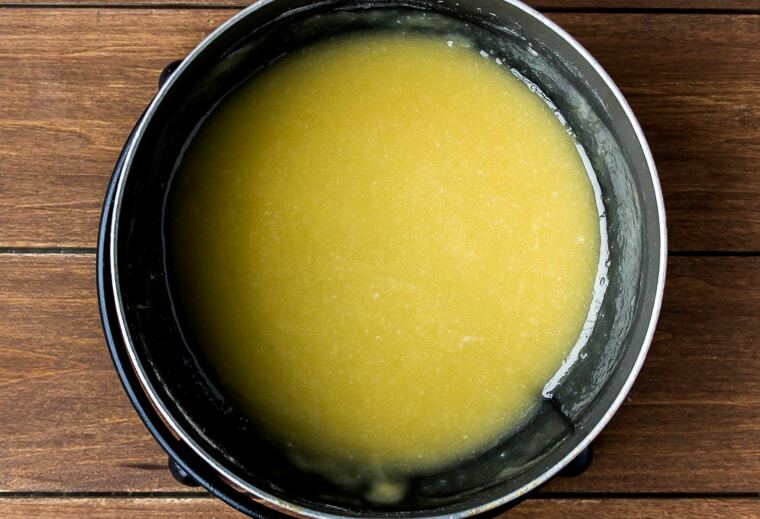 What kind of milk is best for this creamy soup recipe? Using dairy milk, 2% or full fat, will give you the best results as far as creaminess go. I have made this recipe with unsweetened almond milk as well. The broth doesn’t get as thick and creamy, but it’s still very tasty. 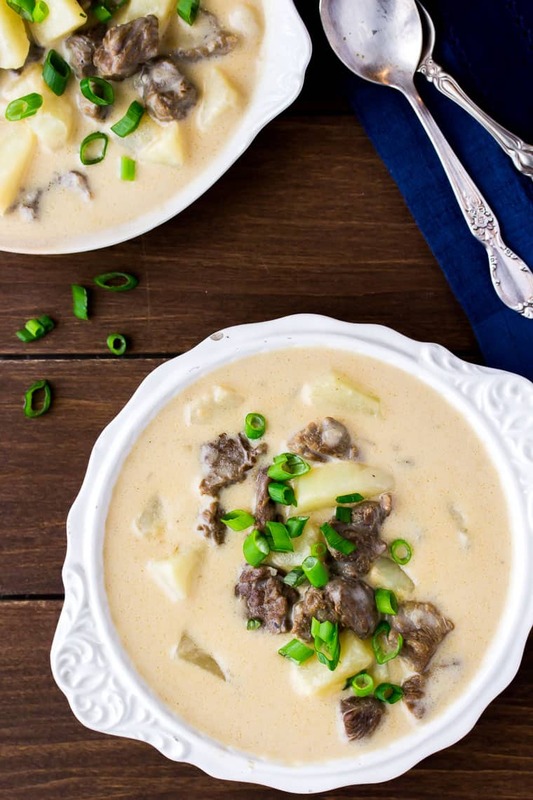 Love this Creamy Steak and Potato Soup recipe? Follow me on Pinterest, Instagram, and Facebook for more! 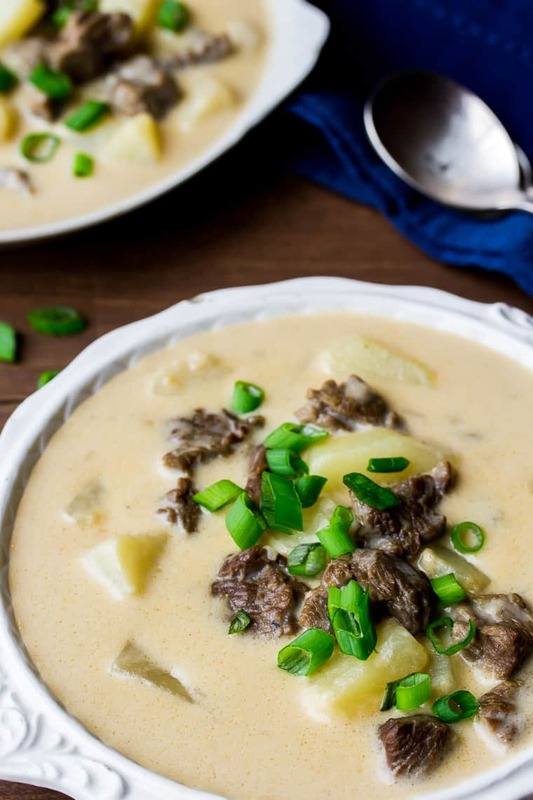 Loaded with tender beef and potatoes in a smooth, cheesy broth, this Creamy Steak and Potato soup is a hearty meal. It's the ultimate comfort food! Season the steak with the salt and pepper, then add to the hot oil. Cook, stirring occasionally, until it’s done through, about 6-7 minutes. Remove the steak with a slotted spoon and set it aside. Leave the extra juices in the pot. Pour in the beef stock and carefully add in the potatoes. Increase the heat to high and bring to a boil. Cook for about 10-12 minutes until the potatoes are just fork tender. Meanwhile, in a separate pot over medium heat, melt the butter. Whisk in the flour until well combined, then the milk. 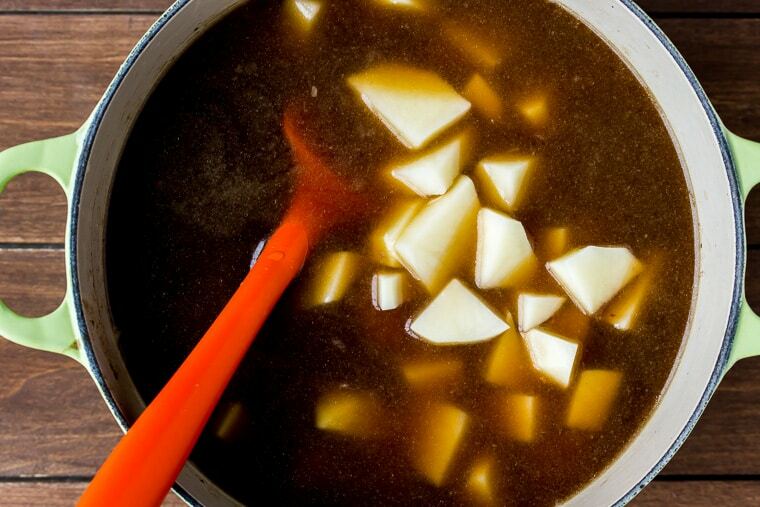 Once the potatoes are fork-tender, pour in the hot milk mixture and stir until thickened, about 3-4 minutes. Add the steak back to the pot along with the heavy cream and cook until heated through, about 2-3 minutes. 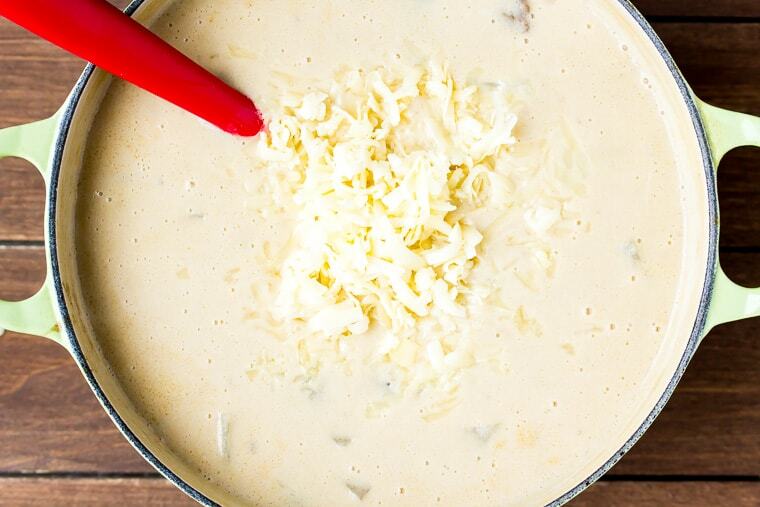 Remove the pot from the heat and stir in the white cheddar cheese cheese until melted and thoroughly mixed in. Taste and season as needed with more salt and pepper. Ladle the soup into bowl and garnish with extra cheese and sliced green onions, if desired. This recipe was originally published on September 5, 2017. The images and text were updated in January 2019.